Samirah is using Smore newsletters to spread the word online. "Mistakes are just proof you're trying" Kristin G.
Assalaamu alaikum First Grade Parents! A few things are changing in your child's class and I want you all to be aware of it all each step of the way! Please feel free to reach out with any questions or concerns! Book It Reading Program Reading Logs due on Tues October 31, 2017. Students must read and complete reading log for at least 20 days this month in order to earn a free personal pan pizza voucher! We are going on a field trip to Elkridge Food Pantry and Garden on Thurs November 2, 2017. Make sure your child brings in their signed permission slip before the trip so they can participate! Students should wear their formal uniforms. Depending on the day of the week, each rotation can last from 15-30 minutes. Now that our Reading Groups have been established, sight word lists are now differentiated! 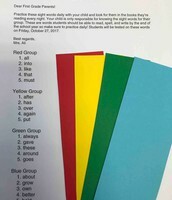 Your child is only responsible for learning the words assigned to their group! 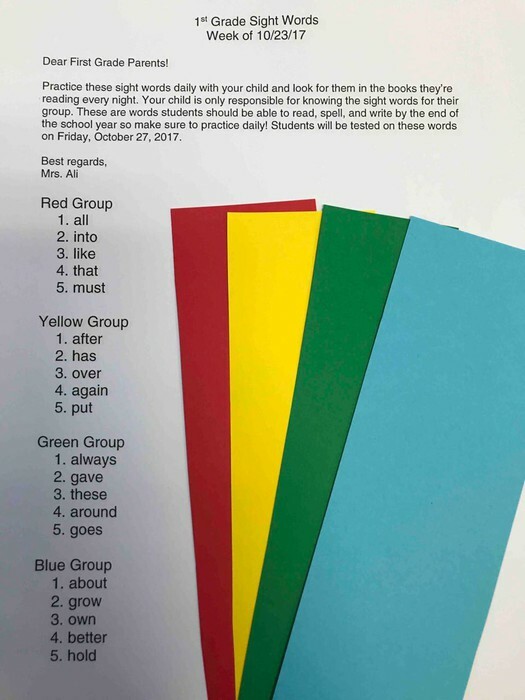 Students came home with a colored slip of paper in their purple folders to indicate which reading group they are in. Our groups are fluid and may be adjusted as needed throughout the year. This week was provocation week for our new unit. 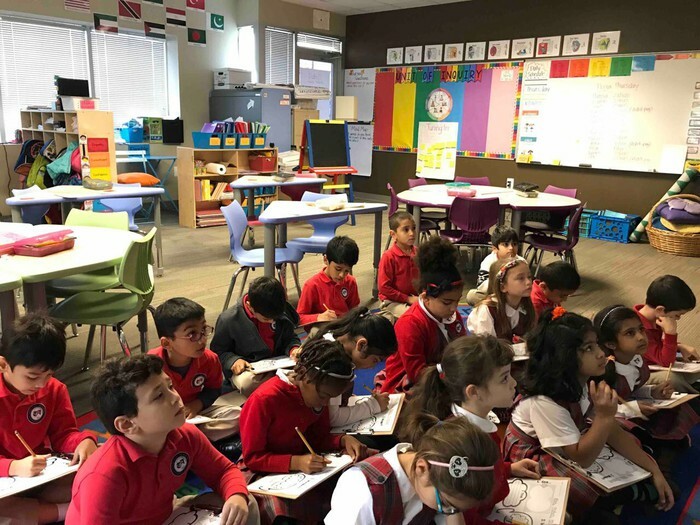 Students engaged in different activities where resources were distributed differently amongst the groups and students had to discuss how this impacted their outcomes. They also watched a video about natural and man made resources. Find the link to the video below! Central Idea: The availability of resources affects a community's wealth. 3. Use illustrations and details in a story to describe its characters, setting, or events. 4. Compare and contrast the adventures and experiences of characters in stories. 5. 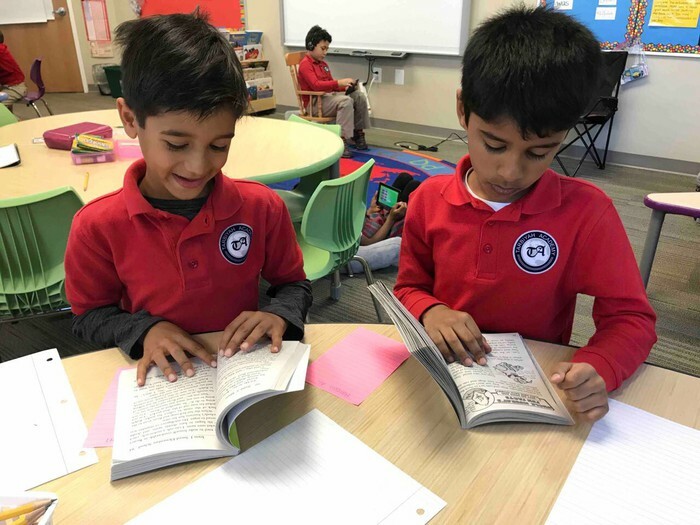 Write opinion pieces in which they introduce the topic or name the book they are writing about, state an opinion, supply a reason for the opinion, and provide some sense of closure. 6. With guidance and support from adults, recall information from experiences or gather information from provided sources to answer a question. 7. Use common, proper, and possessive nouns. 8. Use verbs to convey a sense of past, present, and future (e.g., Yesterday I walked home; Today I walk home; Tomorrow I will walk home). 9. Use frequently occurring adjectives. 10. Use frequently occurring conjunctions (e.g., and, but, or, so, because). 11. Use sentence-level context as a clue to the meaning of a word or phrase. 12. Sort words into categories (e.g., colors, clothing) to gain a sense of the concepts the categories represent. Arabic: During this UOI Students will explore the different modes of transportation (وسائل النقل والمواصلات ). While learning about transportation, students will also earn key verbs to help the form sentences utilizing the modes of transportation vocabulary. Verbs such as to mount (ركب) and to dismount (نزل ). Students will also learn vocabulary for man-made and natural resources. 1. Novice Mid-I can name various modes of transportation. 2. I can write about something I have learned. Islamic Studies: During this UOI, Students will focus on the preservation of natural resources. They will learn how to not waste water (when making wudu) and food. They will also learn how to build good character by helping those around them such as their communities, classmates, and families. a. Always share your food if you see someone with no food. b. Don't start eating if you are in a group until everyone is ready and the Du’aa was said. c. Don't make a mess and clean up your own place. d. Don't throw food away. Save it in a wrapper and eat it later. Refrigerate it if you need to. e. After eating we say, "Alhamdulillahil lathee at 'ammna wa saqana wa ja 'alnaa min al muslimeen." "Praise Allah who gave us food and drink and made us Muslims." · A Muslim doesn't waste food. Whatever we don't eat, we either give away or take back home. Quran: During this unit students will be enhancing their reading skills through the completion of Surah Taha. While reading this Surah, students will learn the tafseer of each ayah. Surah Taha’s main attraction is the story of Prophet Musa (alahi salam). 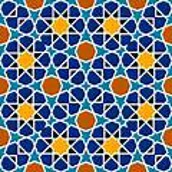 The Surah starts with the beginning of his prophecy and continues through his amazing journey to conquer Pharaoh. Using recycled paper to create artworks. 3.0 Creative Expression and Production: Students will demonstrate the ability to organize knowledge and ideas for expression in the production of art.